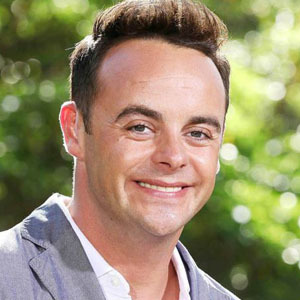 When a household name such as Ant McPartlin speaks out about his infertility, people take note. Last week in the UK Media a story broke about how one half the UK’s much loved entertainment Ant and Dec, Ant McPartlin had gone into rehab to deal with an addiction to pain relief drugs which he was using after a knee operation went wrong. Details also emerged of him and his wife’s infertility struggle and I spoke to IVF Counsellor Tracey Sainsbury about her views on the importance of a high profile celeb speaking out and how the work she does encourages other men to do the same. Firstly I must say that in our chat, I mentioned to Tracey how is was surprising the the papers stated Dec knew nothing of Ant’s issues which Tracey and I talked about being a problem with Men keeping so quiet about infertility. This showbiz pair are best friends and live on the same road and this statement has since been rubbished, by Dec apparently, with the latest story being that Dec and his wife delayed their own attempts to start a family, such is his loyalty to his friend. As we know – we take what we read when it comes to celebrity gossip with a pinch of salt. The episode I’ve shared today, is more to highlight the issue regarding male infertility and the importance of counselling. Tracey shares vital tips on how to reconnect during what is such a difficult time. The post EP 87: Ant McPartlin & Infertility appeared first on The Fertility Podcast.